Senior XML Consultant, Mulberry Technologies, Inc.
Deborah Lapeyre (along with Tommie Usdin) serves as the Secretariat and principal architect for JATS (ANSI NISO Z39.96-2015 Journal Article Tag Suite), as well as for two JATS-based tag sets: BITS (Book Interchange Tag Suite) and NISO STS (American National Standard, STS: Standards Tag Suite, ANSI/NISO Z39.102-2017). 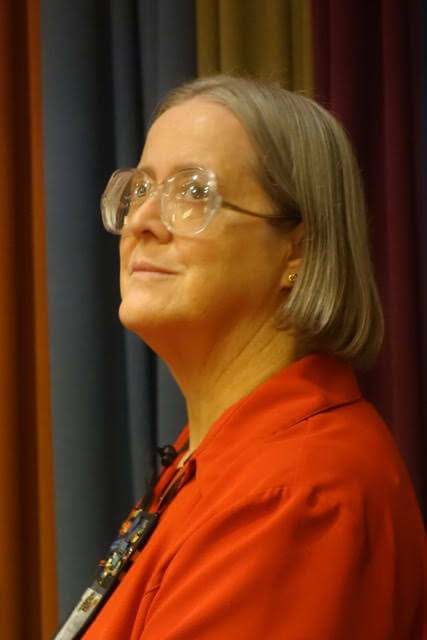 Ms. Lapeyre was on the initial design team for JATS and was the lead developer who created JATS from an older NLM DTD and analysis of 45+ Publisher-specific tag sets. She currently works as a Senior XML Consultant for Mulberry Technologies, Inc., a consulting firm specializing in helping their clients toward better publishing through XML, XSLT, and Schematron solutions. She is a teacher and an expert in XML vocabulary design with DTD and schema development. She has been developing systems that manipulate tagged documents since 1980, working with SGML since before it became an international standard, and with XML and XSLT since their inception.